Thank you everybody who helped to raise an initial budget of FSSF! Join F# Advent Calendar 2014 & F# Advent Calendar in English 2014! Check out a brand-new Visual F# Power Tools FAQ. www.lambdadays.org is waiting for F# speakers! 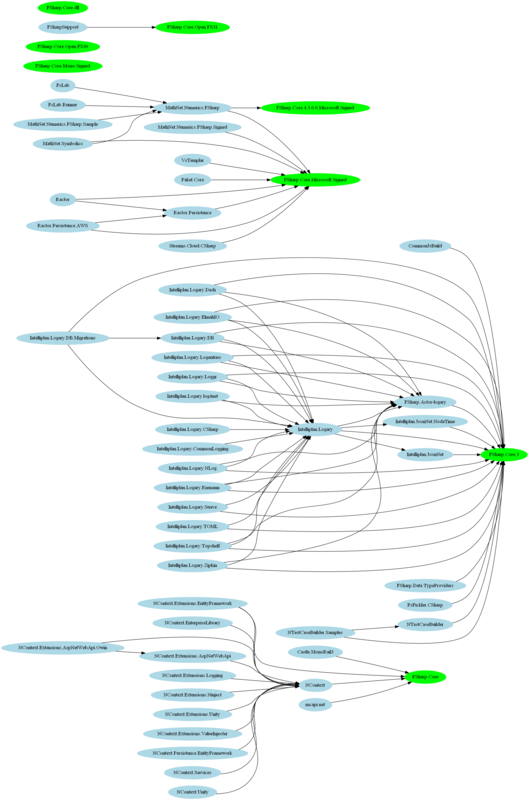 nugetmusthaves.com allows you to discover NuGet dependencies. Check out F#nctional Times – it’s very neat. Eirik Tsarpalis works on QuotationCompiler library. Teaching programming language concepts with F# (Peter Sestoft) – part 1, part 2 & materials. F# project system now supports “up-to-date” builds! OSS folks Visual F# Team needs your help!!!! Please take time to review and comment on the PR’s they have yet to pull. Update: Event extended until December 31. Our friends from Japan have a beautiful event called “F# Advent Calendar“. Every day from December 1 to December 31, one awesome volunteer publish a new post about F#. What an amazing way to celebrate Christmas, isn’t it? Lets support this initiative and do an English version of the calendar. Two blog posts per day is better than one, isn’t it? We need 31 volunteers, who are ready to prepare a post about F# and publish it on specified date. Choose F# related topic for your blog post and send it to me on Twitter or leave a comment to this post. 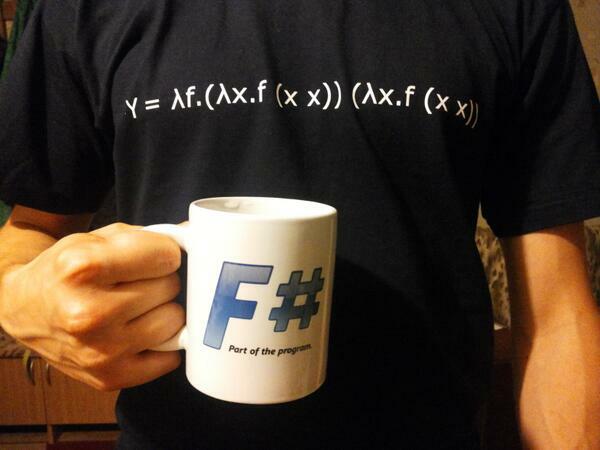 Post link to your post on Twitter with hashtags #fsharp and #FsAdvent. 24 (Wednesday) Jérémie Chassaing Speaking computers for more fun ! 25 (Thursday) Ross McKinlay The North Pole Type Provider: Escape from Santa’s Grotto! 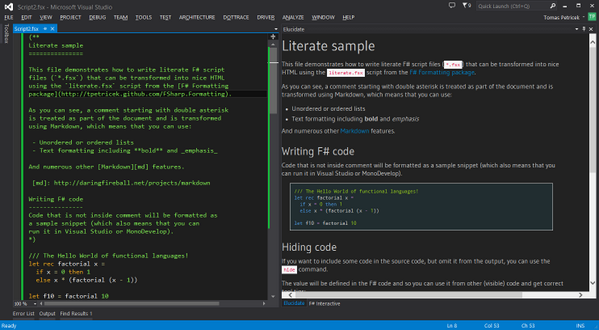 Announcing a preview of Visual F# 4.0 on VS 2015. Announcing .NET 2015 Preview: A New Era for .NET. A fantastic day for Visual F# – VS Community Ed. supports extensibility, so you can use Visual F# PowerTools on free stack. What do you want from the F# Software Foundation? Ask them here. 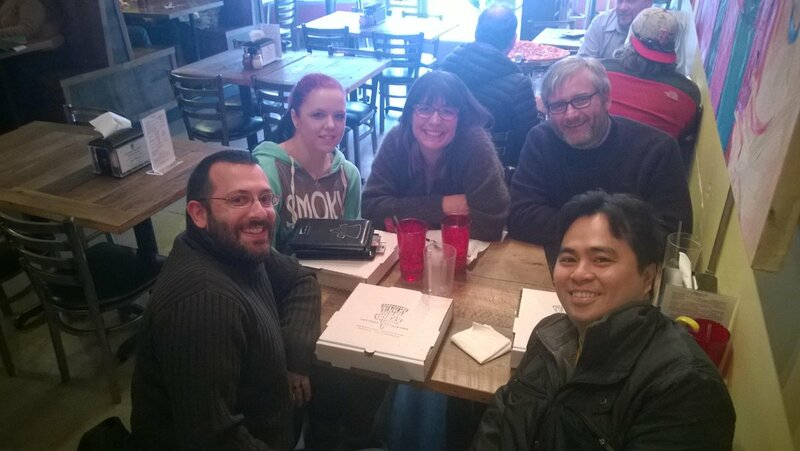 F# group in Utah was announced. “Onikira, Demon Killer” – a game with an F# inside. Added is a section to “Recommended Guidelines for F# Projects” on cultural processing of strings. FeldSpar – F# test framework with a new UI test runner. Rachel Reese will join Jet.com in Jan.
We need a type provider for JSON-LD. The dependency manager Paket lets your project reference GitHub source as well as NuGet packages. Interactive web development with jQueryUI & WebSharper. 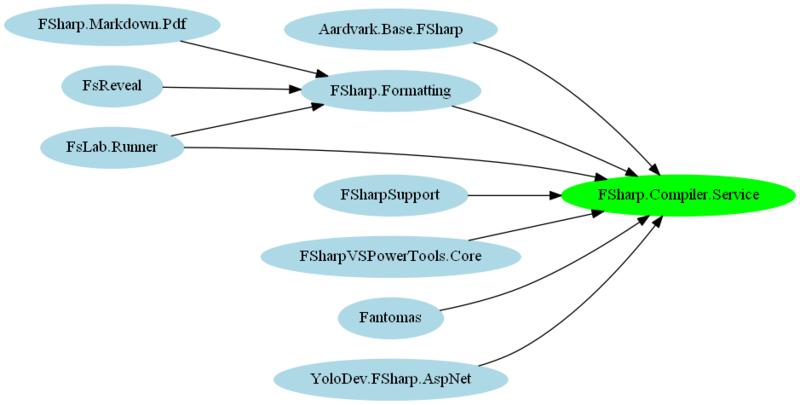 Support for VS2015 preview included in the latest release of FSharpLint. FSharpSupport for ASP.NET vNext is on NuGet. 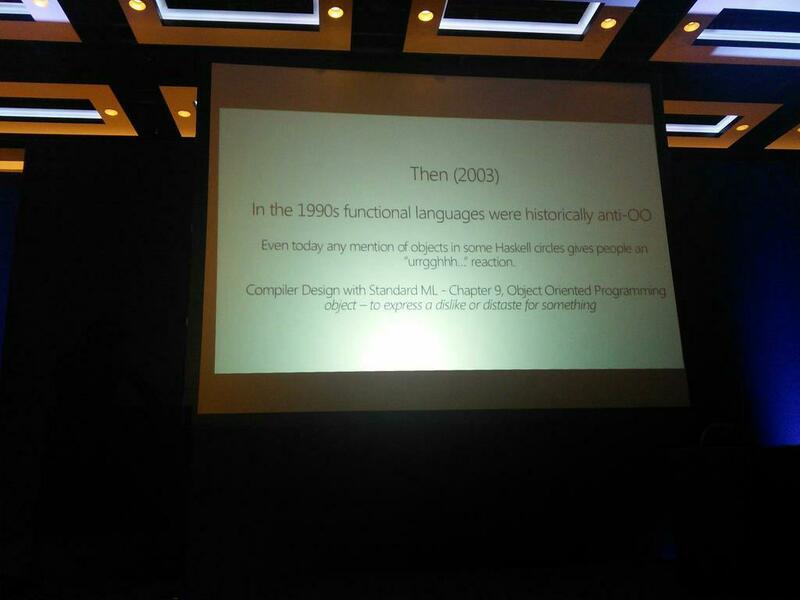 .NET 2015 & Managed Languages. Introducing F# For The Enterprise – Lincoln Atkinson. Taming GPU Threads with F# and Alea GPU – Dr. Daniel Egloff. Type providers (from the very beginning to the implementation) – Sergey Tihon. F# Streams – Gian Ntzik. Programming Games in F# – Andrea Magnorsky. Does the Paradigm You Use Make a Difference? – Simon Cousins. Blogging with F# on GitHub Pages – Colin Bull. Adopting F# in a C# Shop – Jamie Dixon. Introducing Cricket (formerly FSharp.Actor) – Colin Bull. Introducing FsReveal – Beautiful, version controlled presentations in the browser – Steffen Forkmann. Self-hosted WebSharper application template available – WebSharper Core Team. 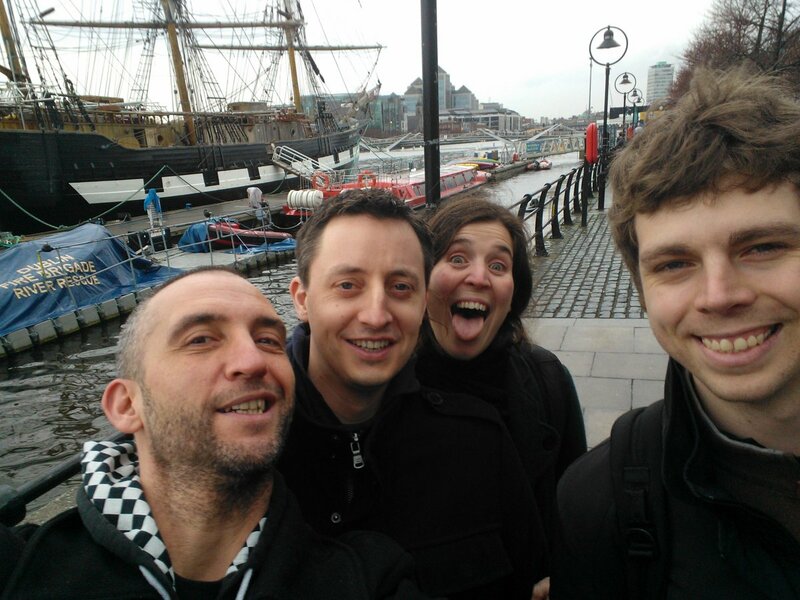 Month of spreading F# love in Poland – Michał Łusiak. F# script reminder – Robert Nielsen. 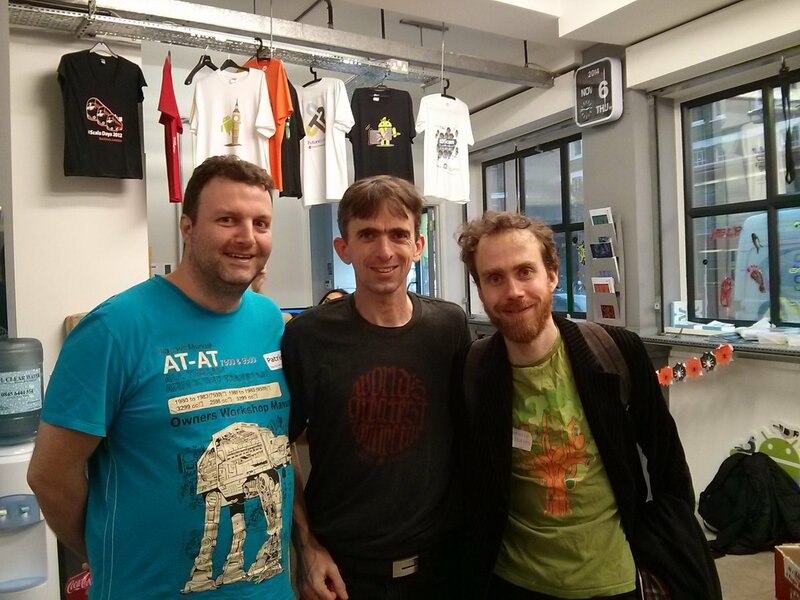 Progressive F# Tutorials London 2014 – Phil Trelford. Suave in a Docker container on MS Azure using Xamarin Studio and Mono on a Mac – Sebastian Fialka. Functional languages rack up best scores for software quality – Paul Krill. 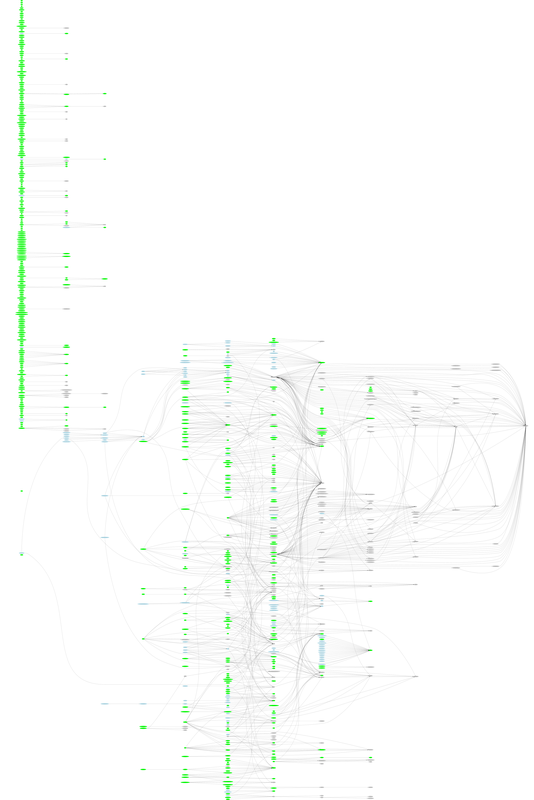 Better stack traces for async code. Paket 0.14.1 with new find-refs command, support for linking of HTTP files, better F# REPL support and use of Nuget v3 API. FsPickler v1.0.4 with ExceptionDispatchInfo serialization support in the CLR. Legally establishing the F# Software Foundation – FSSF needs your help. FsReveal has just moved to fsprojects on GitHub. Elucidate – an alternative reading mode that renders markdown interspersed in code. Xamarin for Students is FREE. Prototyping FSharpSupport for ASP.NET vNext. BSON type provider was presented. mForex.API.FSharp – an official F# binding for mForex API. New type provider opportunity “JSON-LD Type Provider“. Functionland: A Romance of Many Paradigms – Troy Kershaw. 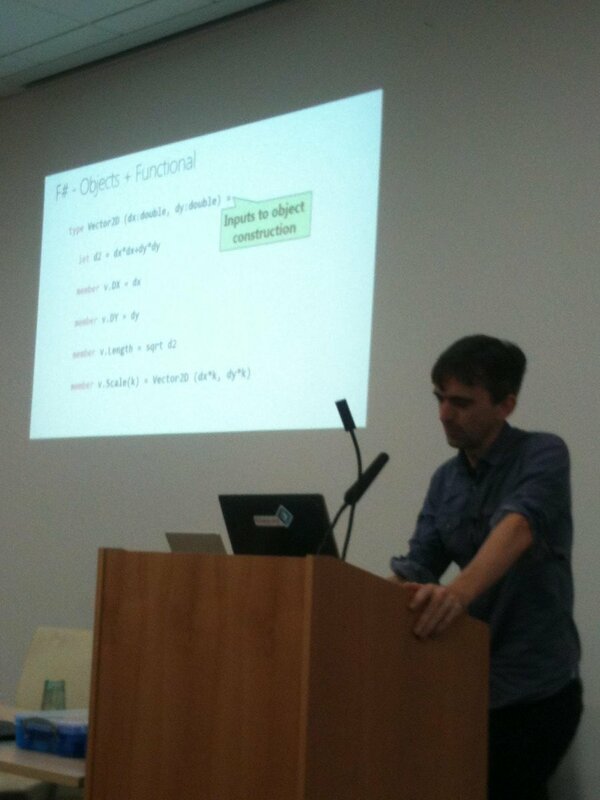 F# Introduction by Jorge Fioranelli. Реактивное Программирование Роботов с помощью Fsharp и Mono – Stas Fomin. F# on the Web. 0 to Production in 12 Weeks – Ryan Riley. 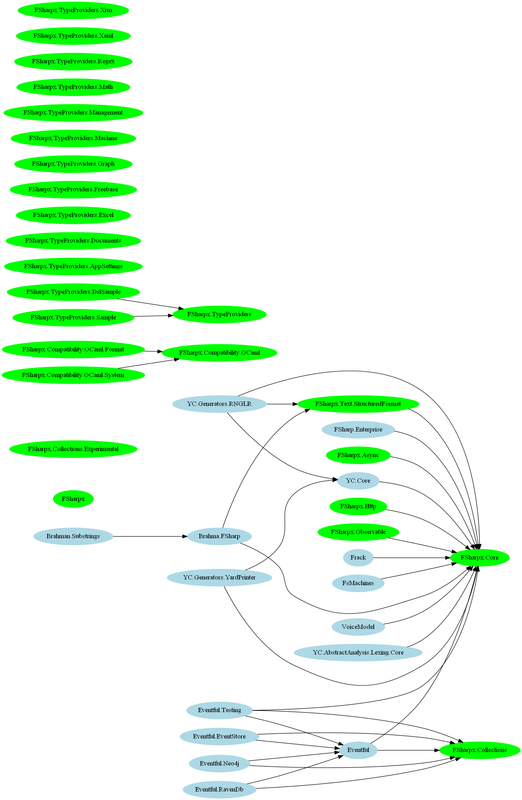 A practical theory of language-integrated query – Philip Wadler. FSLAB: DOING DATA SCIENCE WITH F# – Tomas Petricek. TAKING YOUR CRAFT SERIOUSLY WITH F# – Tomas Petricek. Loewensberg re-animated – Phil Trelford. Michael Newton presented his blog series “Typeprovider“. 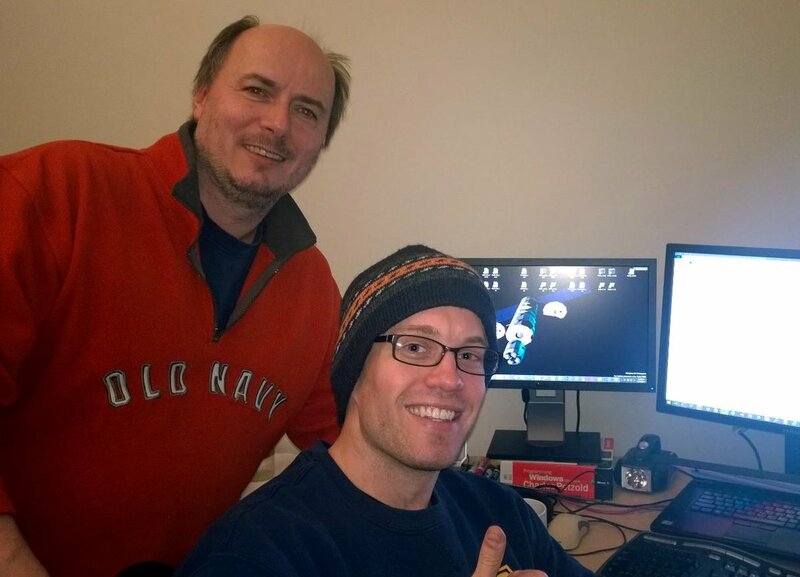 Recommended F# Beginner Resources – Mike Janger. Halloween Project (Garage Of Mystery) – Jamie Dixon. Flux Compression (Redux) – Dave Thomas. 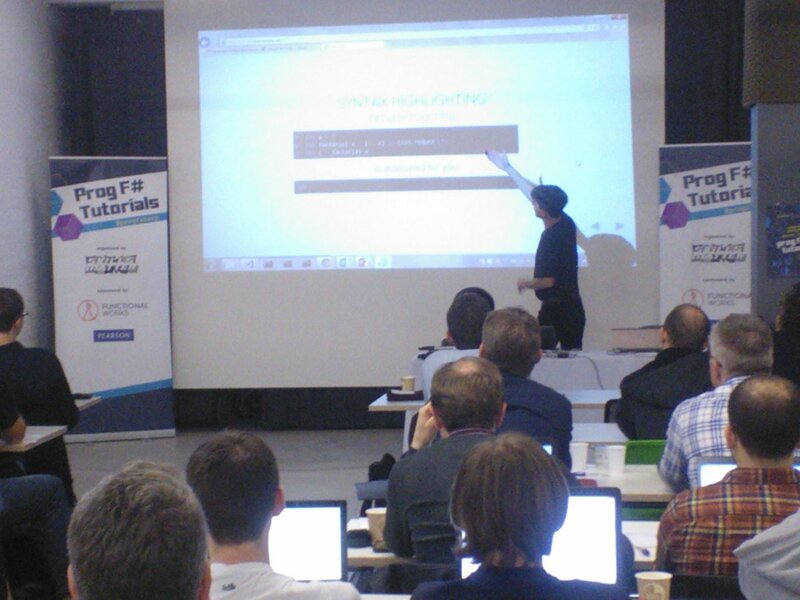 F# Workshop: Learning a New Language – Mjolner. Programming for Google Cardboard on iOS using F# – Larry O’Brien. Safer Programming with F# – Pattern Matching – Ankit Solanki. 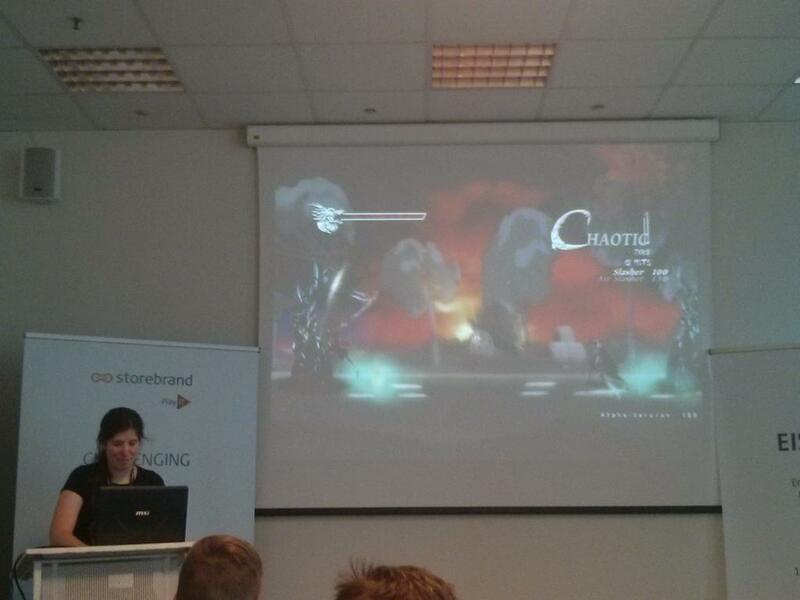 Running F# on a PlayStation Vita – Anthony Brown. Paket v0.13.0-alpha00 with FSI support. FAKE 3.9.0 with support of Xamarin iOS archiving helper and x64 packages. FSPowerTools: v1.6.1 with Task List comments, major updates on Go to Metadata and many improvements. Streams v0.2.5 with a new push/pull design and new pull-based combinators Stream.toSeq/zipWith. Nu Game Engine Release v0.991. 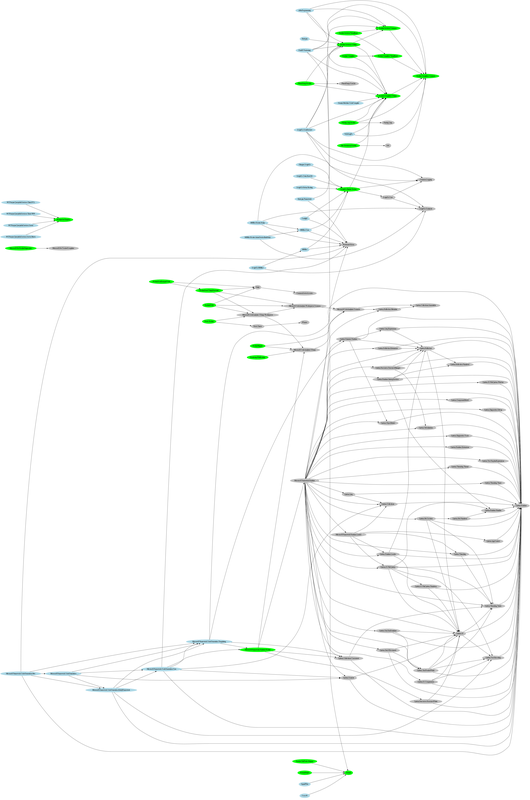 F# project file parsing now in FSharp.Compiler.Service. Proposal for F# community awards: we welcome your feedback. F# support is #1 feature request in ASP.NET vNext. .mat file Type Provider was presented. FsReveal presentation notes were announced. 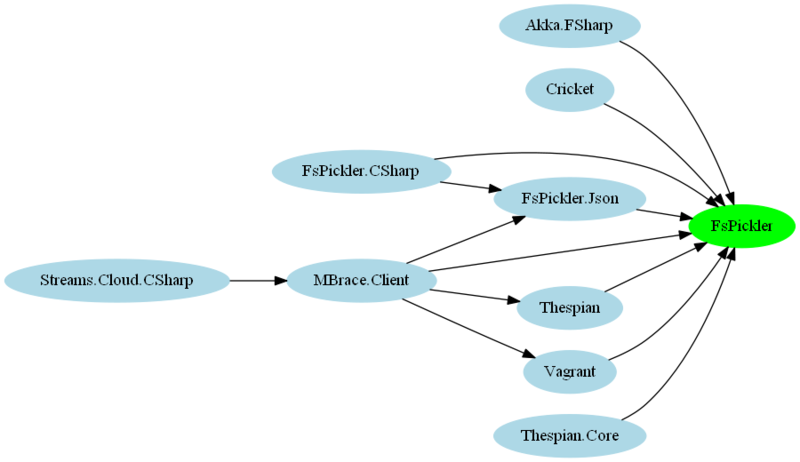 DiffSharp – an automatic differentiation library for F#. Do you use FsPickler? Please submit your projects/testimonials. CSV Type provider in FSharp.Data allows units of measure. COM Type Provider for F#. Katana & WebAPI templates now available in the F# MVC 5 templates. F# Type Providers – Hadi Eskandari. FSCL: homogeneous programming and execution for heterogeneous platforms – Gabriele Cocco. Building forms fast using Formlets – Mårten Rånge. Some completely useless fun with the logistic map – Mathias Brandewinder. Parsing Microsoft MVP Pages Part 2 – Jamie Dixon. Using Exercism.io to Grok F# – Mike Janger. Implementing an F# Signal Generator – Liam McLennan. F# Community Projects – Jon Wood. Project reference resolution using FSharp.Compiler.Service – Robin Neatherway. Experiences using F# in VsVim – Jared Parsons. New Project Templates in the F# MVC 5 Package – Daniel Mohl. Basic astronomy databases with FSharp – Matthew Sottile. Animating Lohse – Phil Trelford. 函数型なんたらの集い 2014 in Tokyo – bleis-tift. F# mode for Emacs v20141030.413.